PCBA began its queen rearing program in 2015. Be on the lookout for queen rearing classes and workshops coming in the Summer of 2018. 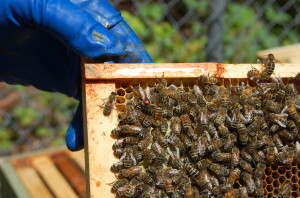 West Sound Beekeepers Association offers Queen Rearing classes. The WSU Honey Bee Program frequently offers workshops on The Art of Queen Rearing. The workshops are a combination of lectures and hands on demonstrations. They are held at WSU Pullman and the Mount Vernon Agricultural Station in June, July, and August.